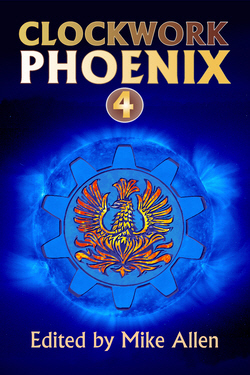 I’m thrilled to announce that my story, “The Wanderer King,” will be published in Clockwork Phoenix IV, edited by Mike Allen and due out from Mythic Delirium Press in June 2013. I loved the original Clockwork Phoenix, and I am in fantastic company in this volume. I can’t wait to get my own copy and read everybody else’s stories. See the full TOC here. Categories: Uncategorized | Tags: Alisa Alering, Clarion West, Clockwork Phoenix, Mythic Delirium, Short Stories, Writing | Permalink.